The New Forest Bus - Go green! The New Forest Bus is called the Forest Bus (daily) and Forest Bus Baby (weekends only). 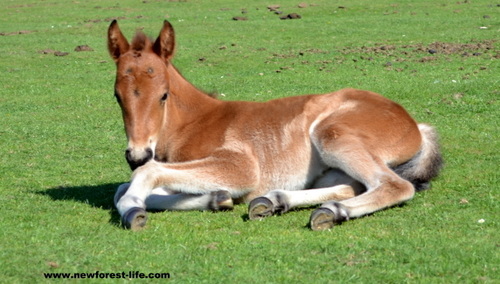 It offers you 2 fantastic options to travel across the New Forest from 24 May to 31 October. We're trying to make our forest as green as possible and this is a great way of doing it. It also means that less cars may result in less animal accidents too. Route goes from Southampton Central via Lyndhurst and Brockenhurst. You've probably got lots of questions to ask? Route goes from Hythe ferry via Beaulieu, Brockenhurst and Ringwood to Moors valley Country Park. I hope you enjoy your trip(s) on the New Forest Bus and baby Bus and that you get to see this beautiful national park in all it's glory. If you use it to its full potential I think you'll be helping our green plight, global warming and also road accidents involving our beautiful New Forest animals. Thank you and enjoy! 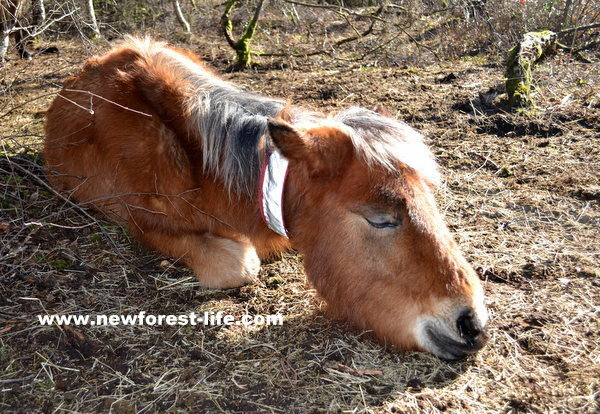 New Forest pony enjoying a snooze - please don't wake me!